It’s a bold idea. 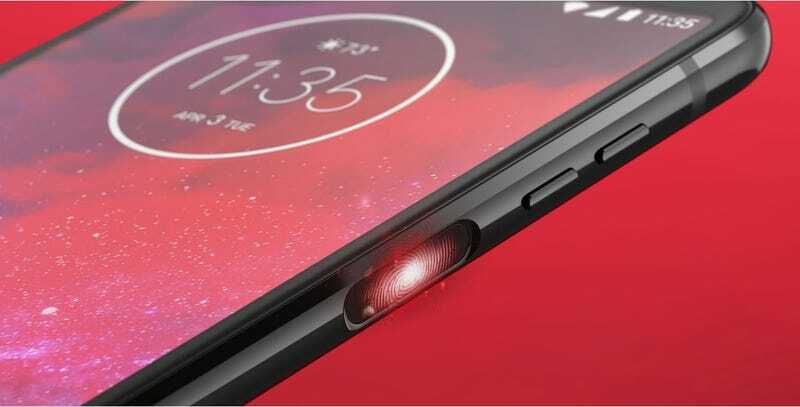 Not only does it give Motorola the flexibility to upgrade the Z3 post-launch, it also capitalises on what made the whole idea of smartphone modularity so tantalising the first place. 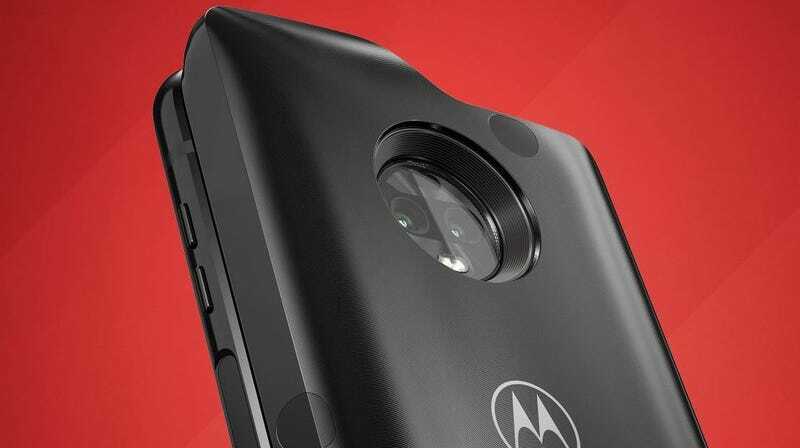 Compared to previous mods like the Moto Gamepad and Moto Stereo Speaker—which often felt superfluous—the Moto 5G mod would in theory have the power to change your phone in a much more meaningful way. As for the phone itself, the Z3 looks a lot like the Z3 Play that came out earlier this spring, but with slightly beefier, though not quite flagship-level components. It has a Qualcomm Snapdragon 835 processor, 4GB of RAM, 64GB of storage, a microSD card slot, dual 12-MP rear cameras, and a 6-inch 2160 x 1080 AMOLED display. The Z3 even retains the side-mounted fingerprint sensor found on the Z3 Play. On the bright side, with a retail price of just $480 (UK price TBA), it’s significantly cheaper than most premium devices. However, one big caveat to all this is that people will need to think about 5G coverage in their specific area, because when 5G becomes available, it will be on a city-by-city basis instead of an instantaneous, nationwide roll-out. You may also want to consider how upgrading your phone plan to 5G might actually work.